I still had my doubts on the quality of the recording though. I promised Bill that I would never put anything ‘bad’ out of him. So I sent a few songs to eight people I respect. Seven of them told me it was great stuff and the quality really didn’t matter. Well, I went with the majority. I haven’t had any complaints about the CD, so far everyone seems to be so happy there is some more William Clarke available [Harp Surgery included – Ed]. So I’m glad now that I put this out. There are a few songs on the CD from Bill’s very last tour. 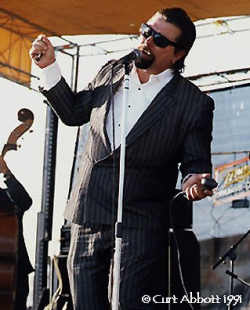 He died only two weeks after the show was recorded. The latest release completes a trilogy of anthologies issued by Jeanette on behalf of her late husband. Fans can also enjoy the two ‘early years’ compilations, 1978-85 and 1985-91, which cover the important period prior to Bill’s sign up by Alligator Records. The new release features bootleg material that was recorded on cassette by two separate fans. Jeanette received the cassettes around 2004, one from San Diego, the other from Scotland. The music on both was pretty much the same, but there was scant indication as to where the recordings were made. The only clues written on the tapes were: Live In San Francisco 1991 and William Clarke Live Sept 1996, which would have been during his last tour. In all, 10 full tracks have been digitally renovated and remastered, with a live introduction added and the final band outro delivered by William Clarke himself. Guided by dates, the band members are Zach Zunis (guitar), Rick Holmstrom (guitar), Willi Brinlee (bass) and Lee Campbell (drums), except for tracks 7, 8 and 9 which are from his 1996 tour. These feature Paul Bryant (guitar), Rick Reed (bass) and Brian Fahey (drums). clarke-competition@harpsurgery.com with your answers by the end of 5th April 2010 (GMT). Good luck! Where was William Clarke born? 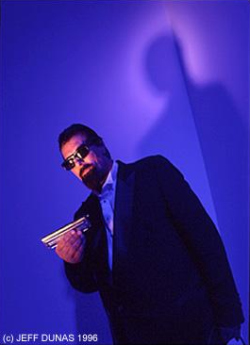 William Clarke’s 1987 WC Handy Award nomination was for which album? 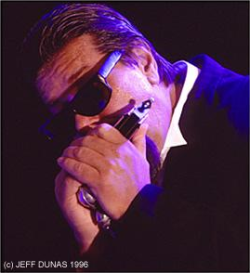 Which former Muddy Waters Band harp maestro was mentor to William Clarke in the 1970s? If you are kind enough to enter our competition but unlucky enough not to win it, copies of the new CD are still available for purchase on line. Show Jeanette your support and make sure you get a copy. You may also like to purchase some of his later classics – we recommend Blowin’ Like Hell, Serious Intentions, The Hard Way and Groove Time. Check them out at Amazon UK and Amazon US. We plan to follow up our exclusive William Clarke competition with two new entries for our How Do They Do That? reference section: Greasy Gravy from William Clarke’s fabulous Blowin’ Like Hell album, and Blowin’ The Family Jewels from his Tip Of The Top and Groove Time albums. 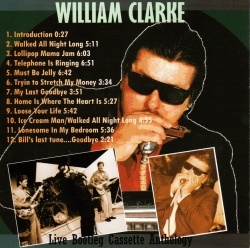 Blowin’ Like Hell was released 1989 and really brought William Clarke to worldwide attention. In the UK few had heard of the man prior to this. Indeed we vividly remember heated debate as to Bill’s ethnicity; the album’s cover image was somewhat enigmatic. However the contents leaped out and colonised our cassette players for months. The album remains an all time favourite of the Harp Surgery and we’d like to leave you with this footage of the great man talking about his work. Harp Surgery respectfully acknowledges the help and friendship extended by Jeanette Lodovici in creating this competition. All William Clarke images and sound clips are published with Jeanette’s full knowledge and approval. 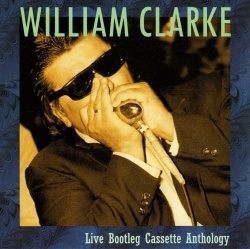 I have all of William Clarke’s music and DVDs except the new cd. My band does Early in the Morning, Pawnshop bound and Blowing the Family jewels. We love the ii V I transition in Blowing the family jewels. My guitar player is learning it so we can play it together note for note which I already do. I love doing that song because it intimidates other harp players. Not that I want to intimidate anyone but it took a long time to really get it down and it just keeps getting better all the time. I am learning more of his songs but they are not easy as his articulation, power, and tone are hard to match.